A special project of the festival was presented on the final evening - a band created on the occasion of the festival, to present music of the Yemenite Jews. Reconstruction from archival notations of songs 5000 years old. Anyone who saw Zerang on stage, a man of a respectable stature, knows he can seem to float over the ground when he starts playing. Light and finesse - he's playing is so natural, like a heart-beat, and so agile in all kinds of ethnic variety of hypnotic rhythms. Raphael Roginski's style of guitar playing is unique, his chords providing a rich texture and rhythmic support but it's his sound, so individual and impossible to be mistaken with any other player, that impacts any group he plays in. And finally Zimpel and Robinson on the front-line, exchanging passionate if gentle solos, spiralling lines back and forth. Zimpel's becoming a master on his own; Robinson, an elder wiseman among the young ones patiently speaking his words. Yet the music is so much more than just a sum of describable ingredients. Incredible sense of communication, sense of unity and finally, sense of complete alienation from the temporal reality - which makes the music thousands years old feel completely universal, above the time reality, so much in-the-moment. It was music that was pure and simple, music that brought peace to the mind and soothed the soul. 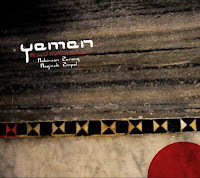 The music on the "Yemen (music of the Yemenite Jews)" is peaceful meditative, spiritual - uplifting your thoughts and spirit. Archaic melodies are not really old, they're eternal - the passing of time is irrelevant. So, as there is no, or there should be no barrier between internal world and the sound, is there in Your opinion no real distance between this world and such ancient music? "If we start analyzing music, purely from a theoretic point of view: virtually in every culture a pentatonic scale can be found. A great amount of music composed nowadays (for example Steve Reich) is based on the pentatonic scale. Obviously each age has its own characteristics, but I don’t feel that things composed today are that much distant from the music played thousand years ago. Besides it’s still about the same thing - to live an experience, in a place where people gather together, some of them play, some of them listen. Ritual of transgression, katharsis, entering the state o meditation. At least that’s what it is about for me." Enough talking. This one is supposed to be listened to through your heart. The music on this CD may be described as the mainstream jazz. What distinguishes it among so many propositions of that kind in Poland and abroad is the enthusiasm of players. One really feels how much they love this music. Their total commitment to music encompasses listener from the beginning to the end and makes rehearsal of this CD a pure pleasure. The highest level of musicianship shall also be noted. Though stylistically set firmly in within the mainstream it is surprisingly free in spirit with plenty of high-quality interplay between players. All this is topped up with beautiful melodies as written by Kluczniak and Lamch making this album one of the nicest discoveries of this year 2013. But still - this album represents a lot of what Małe Instrumenty is about - one could even call it a signature album. All songs are centered around hand organs (hence the title), according to the accompanying text there were 63 hand organs used to create the music on this album. So not everything is small about Małe Instrumenty - at least their collection of small instruments seems to be huge! Of course one must think twice before spending money for 20 minutes of music - but you get your own instrument that not only looks great among your records but that somehow makes you part of the experience as you can accompany the band when you play the CD. It’s good to see an elder artist chase after a new idea. Until quite recently, the Polish jazz trumpeter Tomasz Stanko made beautiful dirges, rubato soul-ache ballads with rumblings of free jazz. They came out on a string of fine records for the ECM label, over a dozen years or so, and he changed bands several times during that period. But the work had an overall unity of mood and purpose. It became an aesthetic brand: sophisticated dread. Mr. Stanko, who lives mostly in Warsaw, turns 70 next month. Both as a soloist and a bandleader, he can pull off the dark emotions in his music: His trumpet tone is steady and stark, crumbled around the edges, and he makes his strong, short themes anchor the arrangements. But lately he’s been breaking up his brand a bit. For most of the last decade he toured and recorded with bands from Poland and Scandinavia, and sometimes they seemed to be formed in his image. But four years ago he got an apartment in New York, and during the most recent of his regular New York visits, which started in 2002, he’s played with American musicians who seem to be changing the hue of the music. A year and a half ago, at the Jazz Standard, he had a quintet with the saxophonist Chris Potter, the pianist Craig Taborn, the bassist Thomas Morgan and the drummer Jim Black. This time, back at the same club, the group is different again: a quartet with the pianist David Virelles, Mr. Morgan on bass and Gerald Cleaver on drums. 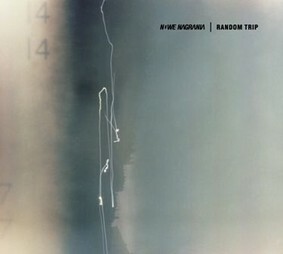 They just played a short tour of Europe with a Polish bassist instead of Mr. Morgan; after they’re done here on Sunday, they’ll go into the studio to make a new album for ECM. It’s a remarkable band. There could be some more meshing between Mr. Stanko and the rest of them — a little more hunger on his part to mix it up with them throughout the arc of a performance — but even in Thursday’s early set, the start of the four-night run, the promise was clear. Without radically changing the character of his music — he still loves ballads, still foregrounds a lonely melody — Mr. Stanko is allowing its balances to shift. Thursday night’s music was hard to define, in an excellent way. It used steady rhythms and vamps as well as free improvisation; it was both a collection of solos and a sequence of careful chapters; it seemed to spotlight its written melodies, then go on to treat them neutrally; and Mr. Stanko occasionally interrupted his own cautious melodies with a loud, gestural flash, bright and abstract. The band played five pieces, most of them new, several inspired by the work of the Polish poet Wislawa Szymborska, who died in February at the age of 88. The first, “Metafizyka,” sounded most like the old formula: a trumpet-led ballad with tamped-down dynamics. In the short “Song for H,” Mr. Cleaver played an unaccompanied drum solo in the middle, subtle but highly articulated, composerly, moving toward a resolution. In “Dernier Cri,” Mr. Morgan improvised over brushed drums, with great tone and resonance to his bass notes but low volume, and an almost eerie lack of affect. The set achieved a high order of stealth: Some extraordinary passages unfolded without any of the musicians making them feel formal or clinical, almost as if natural forces were moving the musicians’ hands. Mr. Stanko’s records have generally been more solemn than his performances, but I’d be surprised if this band turns out a solemn record. Nadeszła pora na ogłoszenie pierwszego dużego konkursu w historii bloga Polish-jazz. Poniżej prezentujemy zestaw 10 dwuminutowych fragmentów utworów z historii szeroko rozumianego polskiego jazzu. Zadanie konkursowe polega na odgadnięciu tytułów tych utworów, tytułów płyt, z których pochodzą, oraz podaniu wykonawcy (nie chodzi tutaj o autora danej kompozycji). Każdy utwór to 3 punkty (tytuł utworu - 1 pkt, tytuł płyty - 1 pkt, nazwa wykonawcy - 1pkt). Maksymalnie można więc otrzymać 30 punktów. Nagrodami w konkursie są oczywiście płyty polskich wykonawców - to m.in. 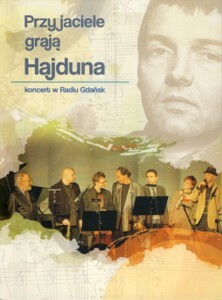 albumy Macieja Fortuny, Piotra Schmidta, Tomasza Dąbrowskiego, Wojtka Mazolewskiego, zespołów Pink Freud, Sing Sing Penelope, Innercity Ensemble, Light Coorporation, A-Kineton, Levity, Acoustic Acrobats, a także winyl Dennisa Gonzaleza nagrany z polskimi muzykami podarowany nam przez tego znakomitego trębacza specjalnie na nasz konkurs. Nagrodzonych zostanie pięć osób. Zwycięzca będzie miał prawo wyboru 8 płyt z podanej przez nas listy. Pomiędzy czterema pozostałymi miejscami rozlosujemy resztę albumów. Osoba z miejsca drugiego otrzyma 6 płyt, z trzeciego - 4 płyty, z czwartego - 3 płyty i z piątego - 2 płyty. Konkurs trwa do 06.04.2013. Rozwiązania prosimy wysyłać na adres: polish.jazz.blog@gmail.com, podając również w treści swoje imię i nazwisko. Wyniki konkursu ogłosimy na blogu w dniu 08.04.2013, a z laureatami skontaktujemy się droga mailową. Powodzenia !!! We announce our first BIG CONTEST in history of Polish-Jazz blog! Below you’ll find a podcast containing a collection of ten 2-minutes tracks being excerpts from some of the best albums featuring Polish jazz musicians. Your task is to find the title of each track, the album it comes from and by whom it is performed (the name of band or a leader as stated on CD sleeve, not the composer). For guessing right you can earn up to 3 points for each track (1 point for its title, 1 for an album and 1 for musicians). Therefore totally 30 points can be collected. Not an easy task we suppose but worthy of fabulous prizes! We prepared for you dozens of best albums of recent years including those by Maciej Fortuna, Piotr Schmidt, Tomasz Dąbrowski, Wojtek Mazolewski and bands like Pink Freud, Sing Sing Penelope, Innercity Ensemble, Light Coorporation, A-Kineton, Levity, Acoustic Acrobats and others. True icing on such a tasty cake is the vinyl recorded with Polish musicians by Dennis Gonzalez donated specially for this contest by this outstanding American trumpeter. The winners will be five people with the highest scores. The person with the highest score of all will gain a right to choose 8 discs from of our list! 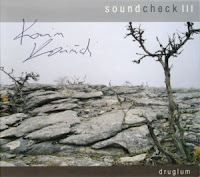 Among four other top scorers the rest of albums will be distributed at our discretion. The second top scorer will gain 6 CDs, the third - 4, the fourth - 3 and the fifth - 2 albums. The contest will be closed as of 06th April 2013. The solutions shall be sent to following e-mail address: polish.jazz.blog@gmail.com. Please, include your names in mail. Results of the competition will be published on our blog on 08th April. Good luck!!! This is the debut solo album by Polish Jazz bassist / composer Piotr Zaczek, recorded with several fellow musicians, such as saxophonist Maciej Kocinski, trumpeter Jerzy Malek, violinist Adam Baldych, keyboardists Marcin Gorny and Grzegorz Jablonski, and drummer Robert Luty. Two vocalists: Ania Szarmach and Kuba Badach take care of the vocal parts. The album includes fifteen compositions, thirteen of which are by Zaczek, one by Szarmach and the remaining one is a Pop song. The music is heavily oriented towards Fusion, Funk and Ambient, featuring the bass as a leading instrument. The musicians provide some exciting solos and vocals, but overall this is electric bass haven, and people who love the sound of fretless bass will definitely enjoy this album to the max. Zaczek is obviously a virtuoso and some of his licks are quite phenomenal. No wonder he is one of the most sought after session musicians in Poland. As much as I enjoy my Fusion and Funk, the Ambient soundscapes are less exciting, especially electronic programmed drums. Of course I realize they are an integral part of what Zaczek wanted to present here, and they are very well done, just that particular sound somehow doesn't sit well with me. 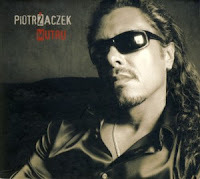 Several of the album tracks are plays solo by Zaczek, who plays basses, keyboards and programmed the drums, others are performed by a duet, trio etc. There is enough diversity and certainly a lot of excellent performances to make this a nice album to listen to. This most unusual album presents the music, which is a part of a multi-media show by singer / songwriter Lena Piekniewska, dedicated to the memory of the Polish Jewry, which was annihilated during the Holocaust. Piekniewska is accompanied by the excellent Polish Jazz quartet Soundcheck, which comprises of saxophonist Maciej Kocinski, pianist Krzysztof Dys, bassist Andrzej Swies and drummer Krzysztof Szmanda and violinist / vocalist Maciej Filipczuk. The album includes fourteen tracks, some including vocals and other being instrumental only. Piekniewska wrote all the lyrics (in Polish, and those were later translated into Hebrew) except in two cases, where traditional lyrics or a biblical text are utilized. The music is a mixture of traditional melodies and new compositions by Piekniewska, Kocinski and Dys. 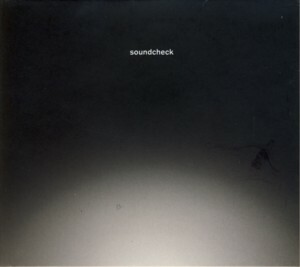 As far as Soundcheck are concerned, this is their fifth album. This is neither the place nor the time to discuss the actual concept behind this album. The incredible renaissance that Jewish Culture enjoys in Poland in the last two decades is a very complex and not entirely clear matter. Practically there are almost no Jews living in Poland any more and therefore the entire resurgence of interest in Jews and their Culture is inexplicable rationally but in many respects quite wonderful. Sadly it is accompanied by a parallel growth of Polish Nationalism and revolting anti-Semitism. Musically the album presents a mixture of Jewish (mostly Klezmer) music and Jazz, which is not a new concept and has been explored many times before. Luckily for her, Piekniewska enlisted one of the best Polish Jazz ensembles to stand by her side, which ensures at least that the music is performed formidably. Kocinski, who plays mostly the traditional Jewish clarinet, plays wonderfully and so do all three other members of Soundcheck. The rhythm section has a really tough job, as they can't apply the usual Jazz formats here, but they overcome the challenge with flying colors. The pianist is wonderfully sensitive and deeply lyrical, playing equally well the traditional and the Jazzy parts. Overall the instrumental part of this album works well, with the music providing the intended tonal reference to the subject matter, being mostly sentimental, melancholic and contemplative. The music is mostly kept low key, which is exactly what the concept needs. As far as the vocal parts are concerned, I'm afraid that I find them somewhat misguided. The biggest problem for me is the usage of the Hebrew lyrics. Firstly Hebrew was not the language spoken by Polish Jews before the Holocaust, it was Yiddish. Therefore perhaps it would have been better to translate the Polish lyrics into Yiddish and sing them in that language? On the other hand if these memories are by descendants of the victims, Hebrew makes sense in a way. Secondly, the same way I severely criticize Polish vocalist when they sing in English, the same criticism applies here; Piekniewska obviously is not a native Hebrew speaker and her accent and pronunciation are simply inacceptable (at least to people who speak Hebrew). Perhaps a better idea would have been to invite an Israeli singer and record this album in a duet setting with Piekniewska singing in Polish and the other singer in Hebrew. In a way I'm sorry I wasn't there to suggest this solution, but it probably was meant to be this way. That said, I must emphasize that Piekniewska does an excellent job as a vocalist, with a delicate, dramatic and clear voice and an obvious sensitivity. All in all her concept certainly works out as intended, in spite of the minor weaknesses and is a moving and honest tribute to the memory of those no longer with us. As someone, who lost almost all of his ancestors in the Holocaust, this album certainly gets my full blessing. People who are interested in Jewish heritage and unusual musical ventures should find this album fascinating! 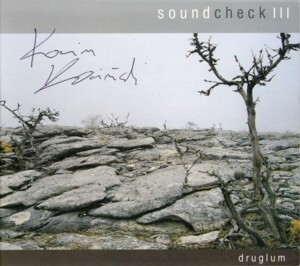 This is the third album by Polish Jazz quartet Soundcheck, which comprises of saxophonist Maciej Kocinski, pianist Krzysztof Dys, bassist Andrzej Swies and drummer Krzysztof Szmanda. 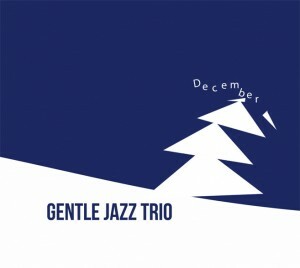 It includes eleven original compositions, eight of which are by the saxophonist and three by the drummer. 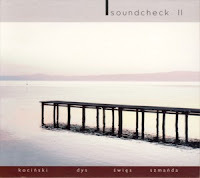 For the third consecutive time Soundcheck manages to create an excellent piece of modern Jazz full of sophistication and lyrical power, which has little competition both on the local Polish scene and even worldwide. This is a perfect amalgam of melodic themes with artistic freedom and virtuosic abilities, which simply makes the quartet to stand out as one of the most interesting Polish Jazz ensembles in the first decade of the 21st Century. Stylistically this album continues the path the quartet travelled on during their two previous albums. The same elements of melodic modern Jazz, which focuses on the compositions rather than on spontaneously improvised themes, are all here. The strength of the compositions steadily grows, with Kocinski clearly achieving a status of an important Jazz composer in view of his collected works on the three albums the quartet released so far. A watchful listener will also notice the personal development of the quartet members as Jazz improvisers. 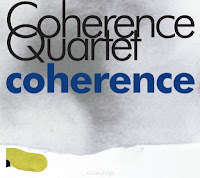 Although Kocinski fronts the quartet unequivocally, the contributions by all three remaining quartet members are an absolutely integral part of the full sound of the group and the effect it entails on the listener. Listening to the albums quickly becomes one of those rare moments, when the listener wishes for it to go on forever. Tune after tune, instant after instant the music flows engulfing the mind totally, leaving the listener completely defenseless. Albums, which are able to achieve such effect, are very rare indeed. It's also worth to note that the music more and more often flows beyond the Jazz conventions into contemporary Classical music, with the artificial barriers between genres melting away completely. This album should be heard by every Jazz connoisseur as an example of what modern Jazz should sound like, at its most refined form. The perfect balance between aesthetic beauty and intellectual excellence is what this music stands for. Brilliant! This is the debut album by young Polish Jazz quartet Soundcheck, which comprises of saxophonist Maciej Kocinski, pianist Krzysztof Dys, bassist Andrzej Swies and drummer Krzysztof Szmanda. It includes seven original compositions, four of which are by the saxophonist, two by the drummer and one by the bassist. In retrospect this is definitely one of the strongest and most impressive debuts released on the Polish Jazz scene in the first decade of the 21st Century. Both the level of personal and collective ability by these young musicians and the incredible compositions are simply outstanding. 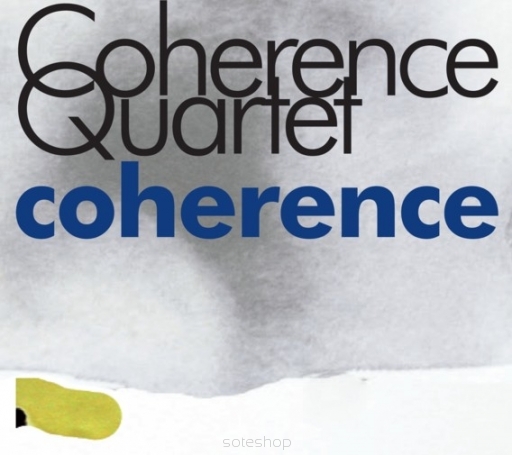 Of course the quartet members gained already some experience playing with various Polish Jazz ensembles earlier on, but their combined talents and abilities as reflected by this album are a classic example of a unit which is much more than a sum of its parts. But the real revelation is of course the music, which sounds incredibly mature and profound, certainly much more so than what one might expect from such young musicians. It is full of the typical Polish Jazz melancholy and lyricism, which is emphasized here to the max, even in the up-tempo pieces. There is also a great deal of dynamics, with compositions starting off as relaxed and dreamy and gradually getting more intensive, ending up in a crescendo. There are also traces of folkloristic influences, both melodic and rhythmic, such as Jewish and Oriental music as well as contemporary Classical motifs. Kocinski, who is the quartet's principal composer, soloist and driving force, performs splendidly on all counts. His playing is simply perfect throughout and never stops to please aesthetically and challenge intellectually. His soprano saxophone is especially impressive and most effective, often sounding as if trying to charm a snake. The pianist, who is obviously an excellent musician, keeps a low profile soloing sparingly, which is commendable as modesty is a very rare quality nowadays. The rhythm section is solid as a rock on one hand and forward thinking on the other. Swies is one of my favorite young Polish Jazz bass players and his performances here as first class. The problem with debut albums like this one is that they are incredibly difficult to follow with something, which fulfills the promise made here. Considering the strength of their output here it seems they'll be able to deliver after all. This album easily enters to pantheon of recordings, which represent everything that is good about Polish Jazz and should not be missed by any true Polish Jazz connoisseur! This is the second album by young Polish Jazz quartet Soundcheck, which comprises of saxophonist Maciej Kocinski, pianist Krzysztof Dys, bassist Andrzej Swies and drummer Krzysztof Szmanda. It includes ten original compositions, six of which are by the saxophonist, one by the drummer and three are co-credited to the quartet. Following up the exceptional debut album was no easy task, but the quartet managed to overcome the famous "second album crisis" with flying colors. This album again presents a series of excellent compositions, which are superbly executed, being much more thought-out, with the three tracks (intro-interlude-outro) enclosing the entire musical content under a unified concept. The music is intended to represent the quartet's search for the meaning of their music, as much as meaning of life. It also reflects their musical inspirations and discloses their influences, like the music of John Coltrane, to whom the longest track on the album is dedicated. Several changes between this album and the debut are evident, all being a verification of the quartet's rapid development and refining process, all of them for good. The music is definitely more relaxed, with a lot of space and less strict melodic dependency, showing a lot of freedom and allowing much more expanded improvisations. The quartet becomes also more unified, as far as interplay and group performances are concerned. Dys is heard soloing much more often than on the debut album and the rhythm section is much more part of the entire music-making process rather than mostly providing just the rhythmic support. Swies, as usual plays some amazing bass lines. The music is again the focal point with a series of brilliant compositions, which simply scream "Polish Jazz" time after time, emphasizing the finest qualities of it. Sophistication, lyricism and this time even almost Scandinavian composure. There is less World Music influence this time, but perhaps the quartet will return to that path again in the future. Overall this is another triumphant achievement for the quartet and for young Polish Jazz, which is alive and kicking like never before. Every true lover of Jazz on this planet will find this music as much enjoyable as it is fascinating. Great stuff! This album by Polish Jazz superstar pianist / composer Leszek Mozdzer presents him exploring the music of the great Polish composer Frederic Chopin by playing his very personal interpretations of fourteen of Chopin's pieces. Of the fifteen tracks on this album thirteen are performed on solo piano and two are duets between Mozdzer and Iranian (living in Paris) percussionist Madjid Khaladj. The album was recorded in Paris and initially released on the prestigious French Naïve label, with a later Polish edition. This is not the first album by Mozdzer, which is dedicated to Chopin's music. 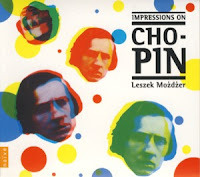 In fact one of his first albums "Chopin Impressions" from 1994 already explored the similar avenue. Like many other Polish Jazz players (mostly pianists), who rode the Chopin "wave" since the early 1990s and continue to do so to this day, Mozdzer jumped on the wagon, using it as another step in his way to the top of the local scene. Playing some Chopin is considered bon ton and obviously tickles the patriotic feelings in listeners, fans, critics and state bureaucrats. The artistic merits of such explorations are an entirely different issue. Mozdzer is undoubtedly a virtuoso piano player, capable of playing virtually anything. He is also a very charismatic performer and his good looks make him the ladies' Adonis. The question is, if beneath all those external characteristics one can find a great Jazz musician or is Mozdzer just a more sophisticated version of Richard Clayderman? It's not for me to provide a decisive answer to this dilemma, but judging from this album, there is surely very little Jazz involved here. Mozdzer freely interprets Chopin's compositions, playing around with tempi, adding almost Baroque ornaments and endless arpeggios. Stylistically he dresses up the Chopin pieces in disguises parallel to the various Jazz sub-genres, from Ragtime to Swing, or ventures into atmospheric New Age doodling. Of course there are some great moments herein, even glimpses of brilliance, but they are lost in the overall impression. Of course I respect the "de gustibus non est disputandum" approach, but personally I find this music sort of intellectually offending. Much ado about nothing more or less summarizes it perfectly. I'm sure many people love this music totally, which is fine with me, but where I come from one does not tackle profound, almost sacred music, unless one has something truly intense to say. Rather typical collection of Polish and international carols performed in "jazzy" style. Although nothing special in itself, still this CD is interesting because of musicians taking part in it. Ewa Nawrot has gritty and coarse voice (if somewhat uncontrolled) which seems to be created for good jazz singing. Maciej Flaczyński playing on guitar is sensitive yet expressive. Finally Paweł Rogoża is playing on saxophone whom we know from such good bands as Light Coorporation or Lentoid. His tone is very individual, charismatic and he manages to keep listener's attention even if this repertoire doesn't seem to be his favorite. I would really like to hear this trio in some decent contemporary project since they seem to have chemistry with each other. However this specific music is too standard to be treated as displaying their whole potential. This is a stunning album by pianist Lena Ledoff, who was born in Russia and lives in Poland since the mid 1990s. She combines the music by two Polish iconic composers, Frederic Chopin and Krzysztof Komeda, creating an amalgam by playing their compositions intertwined into unique medleys on solo piano. Born 121 years apart (Chopin 1810, Komeda 1931), the former a virtuoso pianist and composer of Classical music and the latter a virtuoso pianist and composer of Jazz music, these two geniuses might have nothing in common to a naked eye. And yet they share so much, even the fact that both of them died tragically at a ridiculous young age before they reached 40. But of course what unites them is their passion for music and their common roots in the heritage of Polish music, its melancholy, lyricism and intrinsic sadness. Chopin's music has been performed by many Polish Jazz musicians since many years. One might even say that it has been abused to a certain extent, as some of these Jazz interpretations were completely senseless and in the worst cases simply ridiculous. Ledoff's idea to combine the music of these two composers rather than transform Chopin's music into something Komeda might have written is exactly the right thing to. Her intellectual and artistic integrity remains intact, as her treatment of both composers is deeply respectful and her courage to look for the common ground between them is simply inspiring. For people, who are familiar with the music by both composers these mixed medleys are simply orgasmic. Ledoff keeps switching between the respective composition, playing a few phrases form Chopin and moving to Komeda's enchanted melodies and so back and forth. The listener is unable to predict (at least initially) what her next move will be and therefore this emotional seesaw between expectations and familiarity is absolutely brilliant. This is definitely one of the most ambitious, ingenious and satisfying recordings of the last few years. Original, daring and brilliantly executed, the music is simply overwhelming from start to finish. 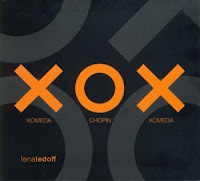 Ledoff deserves out thanks for enabling us to discover with her the infinite connections between Chopin and Komeda. I, for one, am eternally grateful. This album is an absolute must for every connoisseur of Classical-Jazz Fusion, those who love Chopin and dare to hear him in a new setting and those who love Komeda and are intrigued to discover, where he comes from – in short all lovers of Polish music at its best. A wonderful gem, a Godsend! This is a very unusual album by veteran Polish Jazz saxophonist / composer Zbigniew Namyslowski, which finds him performing standards, whereas he usually performs only his own compositions. 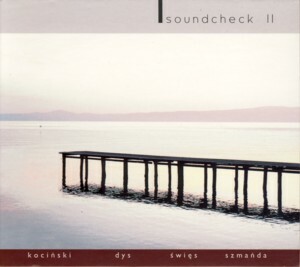 Of the eleven tracks present on this album, ten are standards and one is a composition by Namyslowski, based on the harmonic structure of a well known standard, with a different meter. All the ten standards have been elaborately arranged by Namyslowski, taking them in some cases quite far away from the origin. The music is performed by a superb quartet, which finds the leader in the company of pianist Slawomir Jaskulke, bassist Krzysztof Pacan and drummer Grzegorz Grzyb. 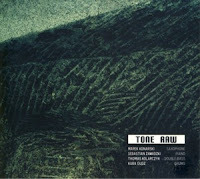 Namyslowski's son Jacek Namyslowski guests on three tracks and trumpeter Piotr Wojtasik guests on one. The album is an absolute masterpiece from start to finish: the arrangements are innovative and intelligent, the performances are perfect and the overall level of artistry is simply overwhelming. Namyslowski again proves that time means absolutely nothing as far as he's concerned and he is still the Grand Master of Polish Jazz, at least as far as modern mainstream Jazz is concerned. The album shows yet again his role as a Godfather, with his group over and over again featuring young and upcoming musicians, who play with him for a period of time before going their own way and becoming leaders on their own right. Namyslowski's playing never ceases to amaze me; for the last half a century (and more) he sounds confident, stable and beautifully creative. I only wish he'll continue to be this way forever. The pianist Slawomir Jaskulke is the great surprise of this album, as his very modernist and forceful style, which he displayed on his early recordings, has been "tamed" by the leader and his ability to change styles from early Jazz to modern compositions and perform all of them equally fluently with virtuosic ability is very impressive. Overall this is a wonderful album, which should put a smile on the face of every Jazz connoisseur in this planet. There is no way one could not enjoy this music, both intellectually and emotionally. These standards never sounded better that here, dressed up, invigorated and revitalized, thank to the genius of Namyslowski, which rejects the tides of time and keeps alive and kicking. This is an absolute delight. Respect! 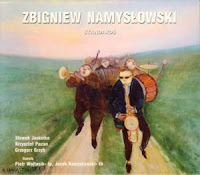 This album by veteran Polish Jazz saxophonist / composer Zbigniew Namyslowski summarizes many years of his career by concentrating on one of the most important characteristics of his music: the symbiosis of Jazz and World Music, or more precisely Jazz and folklore, as represented by dances from different regions. 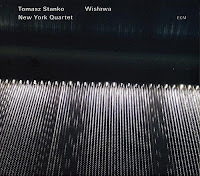 The album comprises of fourteen original compositions by Namyslowski, all of which are based on specific dance rhythms, like tango, waltz and samba or Polish folk dances like mazurka, kujawiak and oberek. Several of the compositions included on this album are new arrangements of compositions recorded and released previously over time. The music is performed by a quartet, which besides Namyslowski, who plays saxophone, flute and trombone (his original instrument) includes also pianist Krzysztof Herdzin, bassists Olgierd Walicki and drummer Grzegorz Grzyb. Three additional players expand the lineup to a septet: accordionist Cezary Paciorek, violinist Maciej Strzelczyk and percussionist Jose Torres. A Cuban percussion group guests on one tune (obviously the samba). Namyslowski's ability to compose melodies, which fit the various rhythms and meters, including some very odd meters indeed, is absolutely phenomenal. This album is full of such clever tunes, which happen also to be delightful and sound completely "easy" in spite of their complex and capricious nature. The actual performance is of course first-rate, as always with ensembles led by Namyslowski, who is very strict and meticulous as far as playing is concerned. In many respects this is the most unconventional album ever recorded by Namyslowski in which Jazz plays still a central role, but is intertwined with the folkloristic elements so tightly, that is sounds often like a soundtrack to a documentary produced by National Geographic. Jazz connoisseurs will find this album absolutely charming in every respect, even though it covers musical ground not habitually associated with Jazz. It might be very difficult to find, but I urge every Polish Jazz enthusiast to lay their hand on a copy of this gem. Listening to this music is such a great fun! This EP is a brief glimpse at a work in progress, which hopefully will be completed very soon, which presents one of the best Polish Jazz pianists Kuba Stankiewicz playing his interpretations of music written by the great Polish contemporary Classical and Cinematic music composer Wojciech Kilar. The music is performed on solo piano, the most "naked" of all formats but also the most unlimited one. Kilar, who is unfortunately less know outside of Poland than his contemporaries like Krzysztof Penderecki, Henryk Gorecki or Witold Lutoslawski, is by no means less important and neither is his wonderful musical legacy. His work as a composer of film scores is truly legendary and his music accompanies over 100 films by all major Polish directors, like Roman Polanski and Andrzej Wajda, and also those beyond Poland, both in Europe and the US (for example Francis For Coppola). Although a modernist, Kilar's music is full of romanticism and lyricism, and his sublime sense of melody is second to none. Stankiewicz treats Kilar's music with a lot of respect and obvious love. The relaxed and delicate interpretations are full of charming moments, where the improvisations move out and return to the melodic theme. 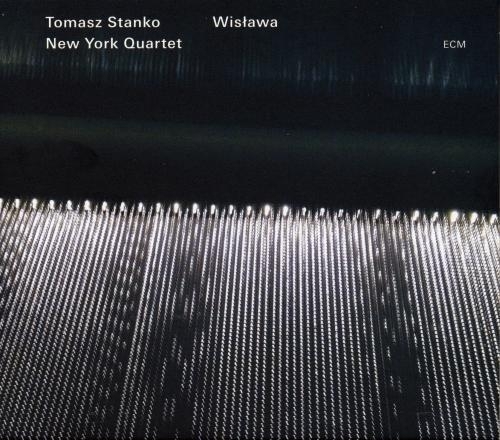 Stankiewicz has a wonderful touch on the piano, which sounds full-bodied and expressive even at a low volume. The overall effect is simply delightful. Following decades of Polish Jazz musicians obsessively interpreting the music of Frederic Chopin, it's truly refreshing to hear some musicians turning the attention to other great Polish composers, like the sensational "Experiment: Penderecki" released recently by pianist Piotr Orzechowski. This music is very different, but also very interesting and no less challenging intellectually. I look forward impatiently to hear the complete album soon and with Stankiewicz a priori the best of luck with this admirable project. 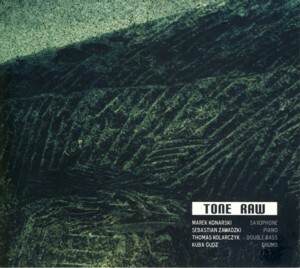 This is a phenomenal debut album by a young (very young) Polish Jazz quartet Tone Raw, which consists of saxophonist Marek Konarski, pianist Sebastian Zawadzki, bassist Thomas Kolarczyk and drummer Kuba Gudz. All four are music students, two of them in Berlin and two others in Odense, Denmark (where many Polish young musicians set out to study Jazz at the local Academy of Music). The album consists of nine tracks, five of which were composed by the pianist, one each by the saxophonist and the drummer, one by a fellow Danish student and one by the godfather of Polish Jazz Krzysztof Komeda, which is performed solo by the pianist. The album was recorded at the Studio Tokarnia and engineered by Jan Smoczynski, with the usual spectacular sonic result. It is truly impossible to guess the age of these musicians just from listening to the album, as they project incredible maturity both as performers and composers. The music, which although is based on solid melodic themes, is full of space and freedom, allowing the players and the listener to float willingly somewhere in the vicinity without being constrained in any way. The melodies have a subtle, but recognizable ethnic influence, which encompasses such diverse (culturally) areas as Eastern Europe, Middle East or Scandinavia. But in spite the different influences, the music presents quite a recognizable stylistic unity, which is extremely rare among young ensembles. Zawadzki, who is the most prominent composer on this album, and who also plays the solo piano piece, is perhaps at the focal point herein, but it seems that the teamwork and mutual respect shift the focal point towards the cooperative effort rather than individual statements. The overall effect of the album is typical European Jazz aesthetics, which not only refuses to be forgotten, but keeps pushing the envelope of the genre further and further away from its 20th Century sources, traditions and limitations. These youngsters understand subconsciously that Jazz, Classical Music and Folklore are simply different manifestations of the same Cultural asset, a resource, which one can explore at will, guided only by one's intrinsic sense of beauty, intelligence and above all talent. And there is certainly a lot of talent on this album. These players and their music deserve the attention of Polish Jazz enthusiasts, as they certainly have a lot of potential, which they have just started to explore. If this is their starting point, one might only wonder what they are capable of creating in the not too distant future. Definitely a striking debut effort! Some of the best things in Polish jazz has happened through cooperation with musicians from other countries and by mixing our tradition with those of other nations. The renewed interest in Jewish culture in Poland is one example. The other may be multiple collaborations with Scandinavian musicians. Close to these two leading phenomenons comes interest in musical heritage of our Eastern neighbours, especially Ukraine. "Water Nymphs" is an album that may be a good representative of such Polish-Ukraine projects, perhaps one of the most interesting ones, at least in purely artistic terms. 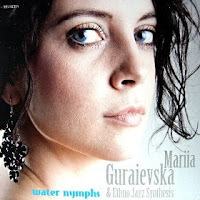 It is difficult to believe that "Water Nymphs" is a debut recording by vocalist Mariia Guraievska. Her singing is not only immaculate, spotless, technically perfect but also original, individual, unique. In her interpretation old folk songs coming from Kiev and Podolia region sound modern without losing their soul. What is important she managed to strike a balance between making this music attractive for the contemporary listener while paying homage to the tradition and yet finding a space for freedom. These are moments when I like her most: in crystal clear vocalizes when she plays with her sensual voice relishing in classy support she gets from excellent musicians playing in her band. The contribution of Ethno Jazz Synthesis featuring some of the best Polish young jazz instrumentalists is the element that can not be overestimated. Michał Kapczuk on double bass (known from collaborations with talented trumpeter Piotr Schmidt), Sebastian Kuchczyński on drums (again playing with P. Schmidt but also with trombonist Michał Tomaszczyk and guitarist Przemek Strączyk) and Mateusz Szczypka on guitar provide Guraievska with dream-like support: compassionate, emphatic and tender enough to never dominate her delicate but expressive voice. All in all, this is truly a pearl as far as ethno-jazz is concerned, especially for those interested in Eastern European folk music. Bravo! Polish Jazz Project 2013 has started!!! This album presents the live recording of a memorial concert dedicated to the Polish pianist / composer Janusz Hajdun, who died a year before this concert took place. Hajdun composed music to more than a hundred films, including the short animated film "Tango", which was the first and so far only Polish film to win the Oscar in 1983, as well as many popular songs. His music was characterized by a distinctive swing and a Jazz spirit, and therefore it is only natural that the Polish Jazz musicians taking part in this concert would pay this loving tribute to the beautiful music composed by Hajdun, hoping to preserve it for posterity. The album presents thirteen compositions by Hajdun (in two cases co-compositions), all of which were beautifully arranged by the participating musicians and three of which include vocals sung by Wanda Staroniewicz. The instrumentalist are: legendary pianist Wlodzimierz Nahorny, trumpeter Piotr Nadolski, guitarist Marcin Wadolowski, saxophonist Wojciech Staroniewicz, bassist Janusz Mackiewicz, vibraphonist Dominik Bukowski, saxophonist Dariusz Herbasz, percussionist Adam Golicki and pianist Kuba Hajdun (the composer's son). The music is truly beautiful, full of the typical Polish lyricism, somewhat melancholic and even gloomy, but always absorbing and aesthetically perfect. There is more than a coincidental similarity to Krzysztof Komeda's cinematic work, which indisputably inspired Hajdun, as it did all Polish composers. Hearing all this music collected here makes a great impact as a sum total and emphasizes his incredible value as a composer and contributor to the development of Polish Culture. The performances are inspired and overall perfect, full of superb solos and excellent team work, kept in relative low-key, as appropriate for a memorial concert. Ranging from solo piano performances to a full-blown Jazz ensemble, things are definitely happening here, which should leave no listener cold. The fact that people pay tribute to their departed colleagues and mentors is heartwarming and commendable and when it is done with such love, dedication and talent, it becomes an unforgettable event. This is Polish Jazz at its best, and as such it deserves to be listened to with attention and open-mindedness. Taking care of the past and the heritage is every bit as important as taking care of the future, let's not forget it.